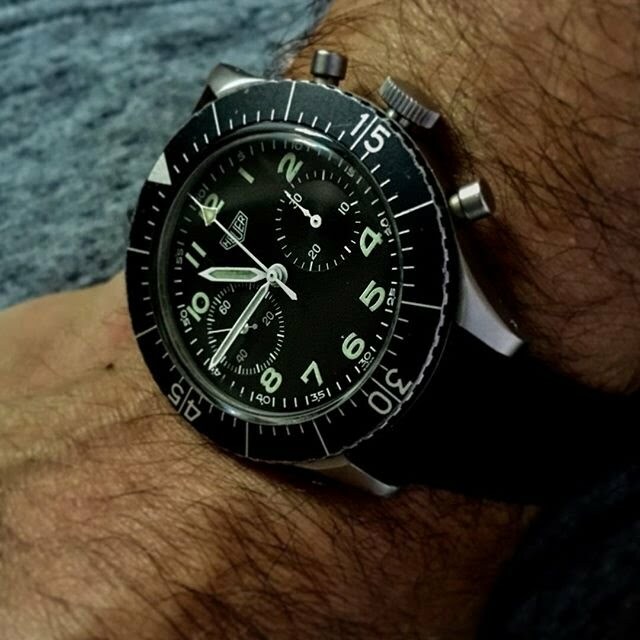 I'm a bit of a watch nut, specifically "tool watches" and recently, military types. Below is a German military issue type from Heuer I recently purchased. As there are many dial variations this is a goo resource on on the watch. 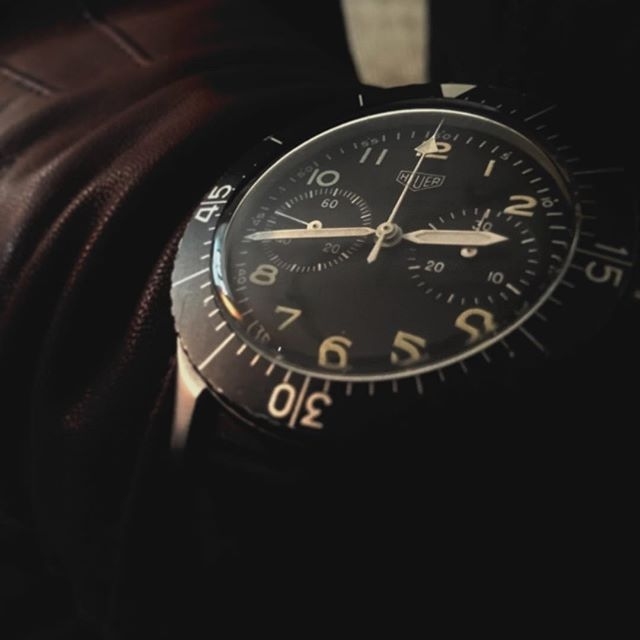 "A pictoral review of the Heuer Bundeswehr chronograph and it's many dial variations"
Not only a sculptor whose work can be see around the world, but a fellow who has a long time love for Ma.K. Recently, Judy (me lady friend) and I became friendly with a Japanese jewelry designer in our neighborhood. She owns a shop near us. It's name, Written by Forest (www.writtenbyforest.com ). She's very talented and has lovely things; pearls the size of your cornea and beautiful honest ring designs. Who doesn't love a beautiful truth? She's also done some genius repair work on Judy's busted bracelets and rings. One day while looking for a gift for Judy, I apologized to Mrs.Inada for having paint on my hands. I was handling her delicate rings from the showcase and felt self conscience. She asked if I was a painter and said I make scale models. "Ohhhhh. My husband makes models too! Tanks and airplanes.... he has so many, it really drives me crazy!" I chuckled, "That sounds familiar." I presented her with my iPhone with a picture of SAFS suit I was working on. "Oh, my husband... I think he makes the same models!" Sure enough her husband does and knows Kow too. Being a fan since he was 13 and traveling often to Japan in the mid 2000s, they began to correspond and then later met. We connected and he invited me to his SOHO office to check out his collection. We sat around for a few hours chatting about Ma.K., our builds, painting techniques, his art work, our livelihoods, surfing, sharks and what swims beneath the Atlantic ocean when you're not thinking about it. Back to Ma.K though, he built two 1/16 Silicon Tribe kits recently. The scale is killer. Francesco Benedettini where talking about Kobayashi's work on FB. As with Kow's work, there is so much detail to to appreciate as well as an entire world to get lost in. I'm sure many of you know Kobayashi's work already, but I'm inspired and feel the need to share. Who the "BLEEP" in this? genre. While in Little Tokyo I came across a NITTO AFS kit in a JP specialty store. I built the same kit when I was 12. It was the "bomb". With detailed mixed media parts, sophisticated packaging, incredible box art and camo card; I was stoked. Unfortunately because of girls, beer and rock n'roll, it was one of the last plastic model kits I would build until now — almost 20 years later. During that trip to LA, I couldn't stop trolling the web for information on the genre's history. Ultimately, I started lurking around Lincoln Wright, Bryan Krueger, Jason Eaton, Michael Fichtenmaye and Will Chin's sites. So, why JSAN9? Named after Judy, my girlfriend. The name started as a joke. In the beginning, she had little patience for my new interest, so I named my first SAFS after her. We live together in Brooklyn, New York with our two cats, Chip and Stormy and the occasional visits from Toby, the dog. Thanks to the Gentledudes for being a source inspiration and great encouragement!